*Authorized Clopay Dealer* Canadian Doormaster is a comprehensive Vancouver garage door company in British Columbia, Canada. We specialize in overhead and garage doors including garage door repair, sales, service and installation of residential garage doors, garage door openers and swing and slide driveway gates including automated access and intercom systems. We provide garage door repair and overhead door repair for all residential and commercial applications including gate access and underground parking gates. 24/7 Emergency garage door repair service in Vancouver BC and surrounding areas including Whistler, The Sunshine Coast and the Okanagan. Friendly service, professional workmanship, fully licensed, insured and Worksafe BC compliant! 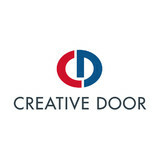 For over 45 years, Creative Door has provided unique, high quality, and innovative solutions in building access and security products. We offer the largest selection of residential, commercial, and industrial garage and overhead doors across Western Canada and have the service expertise to ensure quality installation and value through preventative maintenance. We employ only the best, most qualified technicians to ensure each job is completed to the highest of standards. Our technicians are certified and experienced and provide expert solutions for even the most difficult challenges. As a multi-year recipient of the Consumer Choice Awards and International Door Association’s International Dealer of the Year Award, Creative Door offers unrivaled selection, delivery, installation, and maintenance of overhead door systems and products. Our preventative maintenance plan is designed to improve and prolong the life of your garage door and operator equipment. We guarantee our service ensuring that we do it right the first time. Contact us today at 1.888.621.DOOR (3667) or visit our website at www.creativedoor.com to meet with one of our Sales Team experts today! Welcome to Door Pro. 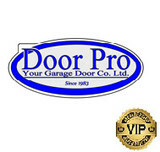 We specialize in garage doors, automatic openers and entrance doors. Our mobile service fleet supplies installs and services a wide selection of garage doors and garage door openers. We feature garage doors by Clopay® and garage door openers by LiftMaster®. 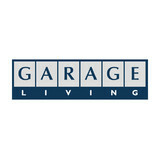 Garage Living is a premium, full-service company specializing in all aspects of residential garage improvements. We transform dirty, cluttered garages into clean, functional, and organized spaces. Our services include garage flooring, storage, and organization solutions. Since 1959, we have been a leader in commercial and residential garage door sales and repair services in Whatcom, Skagit, Island, and San Juan Counties. We are the area's only authorized distributor of Overhead Door Corporation products and services. For 50+ years, OHD Bellingham has been a family and locally owned garage door business that is built on honesty and total commitment to customer satisfaction. In addition to being a leading Overhead Door Distributor, we continue to provide the area’s most trusted garage door repair and installation services. Our 24-hour emergency garage door repair services include garage door opener repairs, broken spring repairs, broken cable repairs, roller repairs, panel replacements, fire door inspections, drop tests and planned maintenance programs. Overhead Door Corporation represents the best in craftsmanship, reliability, and customer service within the garage door industry and is most often recommend by design and construction professionals. Welcome to Smart Garage Door Ltd., the home of the alternative to the traditional overhead garage door. At Smart Garage, we are proud to be the only Roll-Up garage door manufacturer in North America. We are centrally located in Surrey, British Columbia, Canada just minutes from Vancouver, Burnaby, and Richmond. The roll up steel garage door has been the #1 selling garage door in the world since 1956. Now available in North America, it is the only door of its kind to be available to the public as a residential garage door. With its ultra-quiet operation and space saving design, it’s no wonder that this door has become the garage door of choice for many home owners. If you are looking to improve the style and overall functionality of your garage, look no further. Join the thousands of people that are realizing the benefits of going with a Roll-Up door versus a sectional garage door and contact us for your free estimate today! Reliable Door & Gate Inc. Reliable Door and Gate Inc. is the place for all your North Vancouver garage door and security gate needs. Locally owned and operated, we offer a wide range of the latest products and services to our residential and commercial clients. Our team of trained technicians has over 15 years of experience and can service any make or model of overhead doors. Customer satisfaction is our first priority and we are available 24 hours a day to provide you with excellent emergency service. Condoor is built on 20 years experience in both manufacturing and installation of quality custom doors, windows, frames, high security and other custom metal work. At Condoor we strive to meet and exceed the needs of our customers. We work on multi-family units, commercial towers and high end residential buildings. By supplying and installing we are better able to meet our clients specifications. This also saves headaches and time since we are a single point of sale. Get the job done right. Get Condoor. Access Garage Doors in Vancouver offers sales, installation and servicing of overhead residential garage doors & automatic residential garage door openers in Vancouver and the Lower Mainland. Although our garage door business is based in Delta, BC, we are a mobile service working with home owners, contractors, property management companies, realtors and strata councils with their garage door needs, primarily in Delta, Richmond and Vancouver. We are proud to say that when it comes to residential garage doors anywhere around Vancouver, we provide excellent products and unparalleled service. Lu’s Garage Doors understands your concern regarding having premium garage doors. We have been providing outstanding garage doors products and services since 1990. We understand customer’s needs and expectations, we strive to excel. Whether you are a home owner or a business owner, we provide exceptional service with guaranteed satisfaction. Lu's Garage Doors is noted for great customer service skills and punctuality. We will be there when you need us and we have a 24-hour phone line that is always accessible. Your satisfaction is our top priority, before and after installation. So if you are looking for the premier provider of the installation of new doors, replacement of old doors and best garage doors including insulated, overhead, and rolling steel doors in Coquitlam, Abbotsford, Port Coquitlam, Mission and Maple Ridge, Lu’s Garage Door is the perfect company for you! With over 25 years of experience in the industry, Accent Garage Doors has acquired the knowledge and expertise to solve any garage door problem you might encounter. We are proud of our reputation for quality work and outstanding customer service, and will work with you to select the right garage door system to fit your taste and your budget. Our customers can expect to receive a guaranteed product, a fair price and excellent service. Our technicians will examine the job site, assess your needs and offer a free quote. We offer a wide range of prices and inventory and are confident we have the right door system for you. Call us today for a free estimate. When you call Vancouver Garage door service expect nothing less then a professional performance by our qualified experts. Vancouver Garage door installation service specializes in Garage Door repair & installation. We also carry a wide range of quality garage door parts to best suite your needs. Are you looking for a new or replacement Garage Door or Gate for your residential or commercial property? Give Goodbrand Door & Gate a call: (604) 465-1466 Looking for a reliable local supplier and installer? You found us! Goodbrand services customers both large and small throughout the lower mainland area. Residential Garage Door: Vancouver and Lower Mainland Home Owners Increase the security, comfort, beauty, and curb appeal of your home. Update your look with a new overhead residential garage door. What kind of services do Vancouver, BC garage door dealers and installers provide? Garage door professionals specialize in the selection and installation of residential garage doors and openers that fit your budget, style and needs. This includes choosing a garage door style — or designing a custom garage door — that blends in with your home’s exterior, selecting materials, determining a technological system that supports your security and access needs, determining proportions and dimensions, finalizing decorative designs and ensuring that everything meets British Columbia compliance and building codes. Find garage door sellers and installers in Vancouver, BC on Houzz. Narrow your search for Vancouver, BC garage door sellers and installers by selecting the nearest city or zip code. Look at portfolio and product photos, and read reviews to find the best Vancouver, BC garage door professional for your home.